Every dawning day, you come across various new dimensions and tools of marketing. Whatever business or enterprise you may have, it cannot be free from the clutches of competition. The mobile phones in modern days have become one of the prominent ways to engage with the clients and customers. For any business with a perfect strategy and vision, the mobile and computer apps have become an indispensable part of their business strategy. 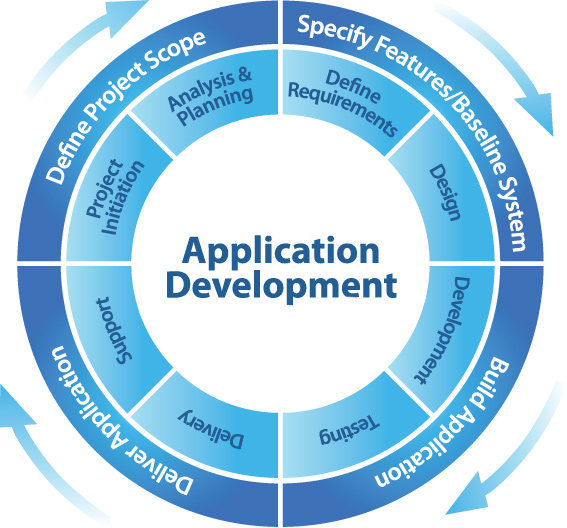 You may wonder how you can develop an app appropriate to your business. Well, the highly experienced experts at W3INFOTEK are always available to fulfill all your requirements of a mobile app development. What you require is to let them know your requirement, and they would develop a high quality app for your business. There may be several ready-made apps available in the market. Many of the app developing agencies may try to allure you with fascinating advertisement. It is not that those apps are entirely useless, but that they may not have the features which you require the most. So, why not prepare an app that can have the features perfectly suitable for your business? You may not be familiar with how an app can be developed, and our app developing experts do not expect you to know the complex process of app making. What they need from you is your requirement. Once you sit with them and let them know the features and facilities you require in an app; the experts at W3INFOTEK would develop a perfectly suitable app in due time. Whether you wish to get a mobile or a computer app, the professionals here would satiate all your desires in a holistic manner. Again, you may get the apps for the office use or for interacting with the clients; in all cases, the experts would develop an app that can escalate the horizons of growth of your business.